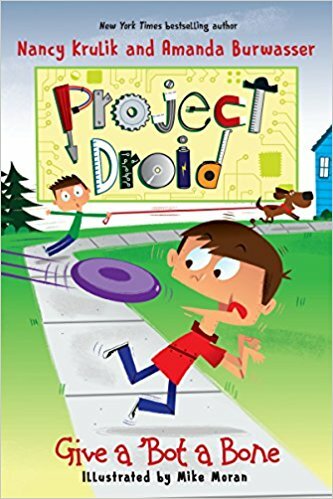 International bestselling author Nancy Krulik and her incredibly talented daughter, Amanda Burwasser, spin hilarious high jinks in the fifth book in the Project Droid series, which combines the literalness of Amelia Bedelia with a wacky modern edge, making for hours of laughter. And the fun continues with an activity in the back! In Give a ‘Bot a Bone, Logan and his robot cousin Java are playing ball in the garage, a.ka. Mom’s lab, when they accidentally break her hair-cutting machine. They need to get a new one fast! The good news: they find one online. The bad news: it’s going to cost a lot of money. So the pair tries out a series of jobs to make some quick cash―dusting the furniture (Mom didn’t mean dumping the dust from the vacuum on the couch), holding a flea market (10 cents a flea! ), and even starting a dog grooming/walking business (which is pretty ruff). Finally, they decide to try a bake sale, only they’re out of chocolate chips, so they use bacon instead. Customers think their cookies are disgusting, but a dog accidentally gets one and scarfs it right down. Logan and Java make a lousy cookie, but a perfect dog treat! After earning the money they need, they buy the new hair-cutting machine and slip it into Mom’s workshop so she’ll never know. Or will she? About the Author: Nancy Krulik is the author of more than two hundred books for children and young adults including three New York Times bestsellers and the popular Katie Kazoo, Switcheroo, George Brown, Class Clown, and Magic Bone series. She lives with her husband and crazy beagle mix in New York, New York. About the Author: Amanda Burwasser holds a BFA with honors in Creative Writing from Pratt Institute in New York City. Her senior thesis, a screenplay entitled Born to Me, earned her the coveted Pratt Circle Award upon graduation. This former native New Yorker is now a preschool teacher, residing in Forestville, California. 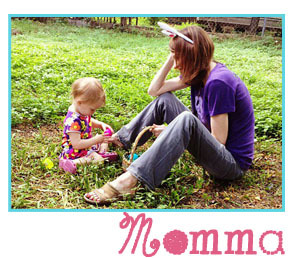 About the Illustrator: Mike Moran is a dad, husband and illustrator. He has worked for really fun clients and his illustrations can be seen in children s books, animation, magazines, games, World Series programs, and more. He often dreams of playing first base for the New York Mets, being a songwriter in Nashville or the 5th Beatle. He lives in Florham Park, New Jersey.